The MagniFi Mini sounds ridiculously big and full for a system of this size and price. There's one TV in my house that I almost never watch. The picture looks fine, but the sound from its tiny built-in speakers is just pathetic. I've been looking to upgrade with a compact sound bar system, and Polk Audio's MagniFi Mini is a strong contender. 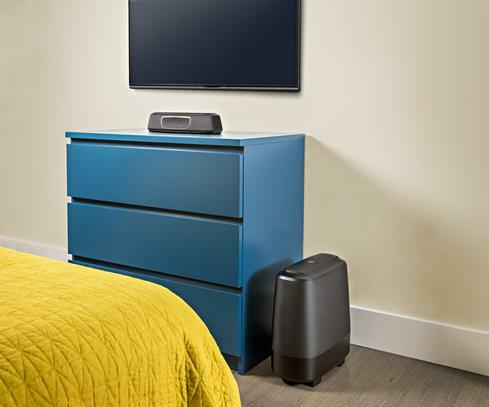 The compact MagniFi Mini system brings spacious sound and clear dialogue to smaller rooms, like a bedroom. When Polk stopped by recently they demoed their new Signature series speakers and the MagniFi Mini system. They played the 5.1 speaker setup first, and I think we were all expecting a big letdown when they switched to the MagniFi sound bar and sub, but that didn't happen. The MagniFi duo sounded ridiculously big and full for a system of this size and price. The biggest problem with most TV speakers is distorted, hard-to-hear dialogue. 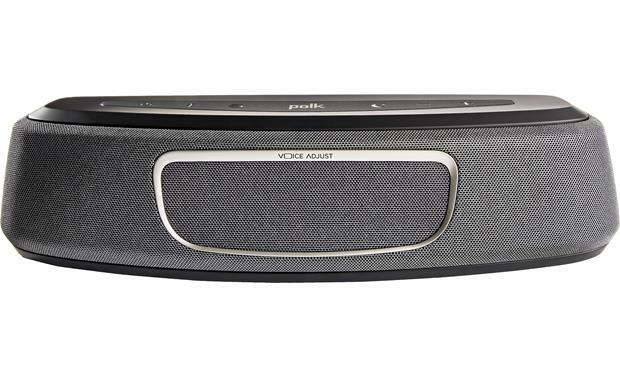 The MagniFi Mini sound bar tackles this issue with Polk's patent-pending VoiceAdjust™ technology. VoiceAdjust lifts the sound of speech so that it's easy to make out, regardless of what you're watching — or how loud. Even soft-spoken dialogue comes through crystal-clear whether you're sitting directly in front of the TV or off to the side. There's even a separate volume control just for voice. Hooking up the MagniFi Mini is quick and easy. It connects to your TV with just a single audio cable. Using the included HDMI or optical digital cables lets you take advantage of the bar's built-in Dolby® Digital decoding. You can also choose between three listening modes — Movies, Music, and Sports — to help tailor the sound to what you're watching. Speaking of connections, the MagniFi Mini also has built-in Bluetooth® and Google Cast (now called Chromecast built-in). 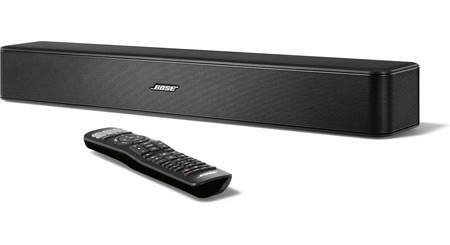 You can wirelessly play tunes from your smartphone or tablet through the sound bar's powerful drivers. 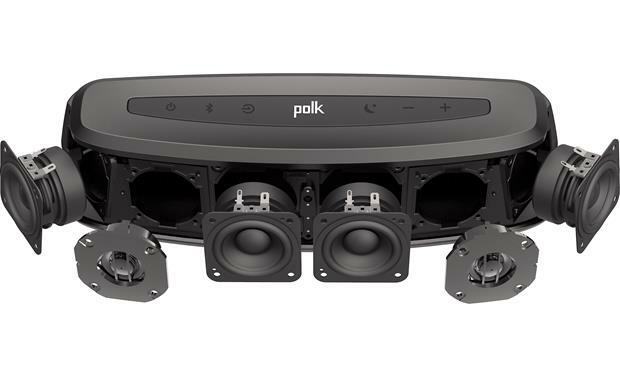 Polk included a sub with a 6-1/2" woofer to deliver satisfying bass for high-energy action scenes and music. It connects to the sound bar wirelessly, which makes it super easy to place in your room — you just need to plug it into a wall outlet for power. The MagniFi Mini is also compatible with Roon, a subscription digital music player you download to your smartphone, tablet, or computer. It gives you multi-room audio playback for all your Chromecast-compatible devices and more. Roon accesses your digital music collection from your iTunes library or NAS drive. It also works with your TIDAL subscription. Roon lets you do deep dives into your music, showing artist bios, photos, reviews, and lyrics. Roon can also suggest other artists and songs based on your selections, making it easy to discover new music you'll enjoy. remote has master volume control, plus separate volume buttons for "bass" and "voice"
Does the TV have to be on to use the music streaming functions? Ultra-Compact Soundbar: The Polk MagniFi Mini's soundbar features an ultra-compact design that fits tight spaces and still delivers big, room-filling sound. The soundbar speaker is equipped with a six speaker array which consists of two 0.5" tweeters and four 2.25" midrange drivers, all powered by a built-in amplifier. Wireless Powered Sub: The included wireless powered subwoofer reproduces deep bass impact that you can feel from your movie and music soundtracks. It houses a down-firing 6.5" woofer, down-firing bass port, and a built-in amplifier. You can independently adjust the wireless powered sub's bass level from the rest of the system's overall volume level. 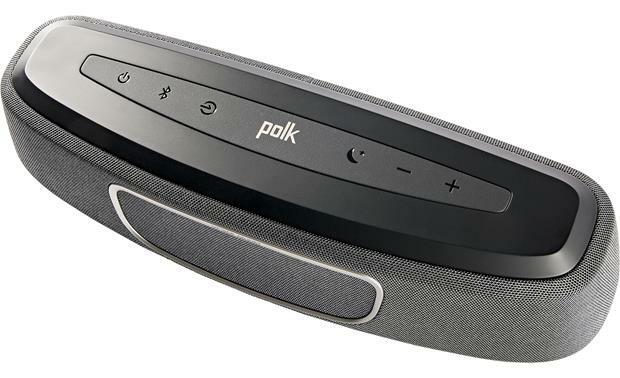 Proprietary Polk Technologies: Featuring Polk's patented SDA surround sound and Voice Adjust technologies, the MagniFi Mini soundbar speaker system produces an immersive listening experience. SDA (Stereo Dimensional Array): Polk's patented Stereo Dimensional Array (SDA) surround technology is based on fundamental research into the way our ears process sound and perceive the direction of sounds. It uses a patented combination of signal processing and acoustical geometry that complements the spacing between our ears to produce a wide sound stage without the need for rear mounted speakers. 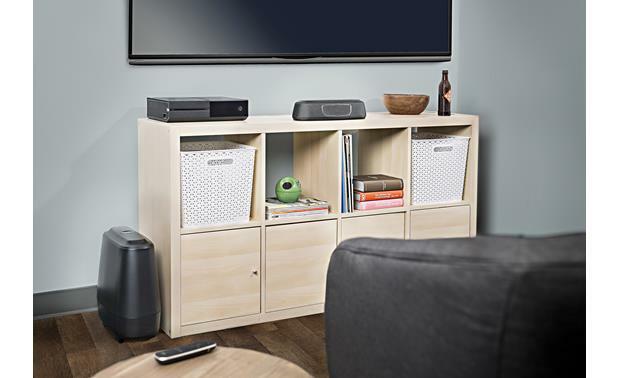 Thanks to SDA surround technology, the Polk MagniFi Mini requires no special room characteristics and can deliver a room-filling surround experience in nearly any location in almost any type of room. Dolby Digital: The Polk MagniFi Mini soundbar and sub system will decode Dolby Digital 5.1ch audio through its HDMI and Optical digital. 2ch PCM audio is also supported through HDMI, Optical, and stereo minijack. Optimized EQ Presets: One button preset EQ settings for Movies, Music, Sports, and Night optimize the soundbar and subwoofer to ensure you get the clearest dialog, big surround sound and deep bass for the best audio and home theater experience regardless of what you are watching or if you are watching late at night. Movie: Enhances audio reproduction in TV and movies. Music: Enhances audio whenever you're listening to music, watching music videos, or enjoying a concert on TV. Sports: Enhances audio whenever you are watching sporting events, news, and talk shows. Night: Reduces bass and volume dynamic while improving voice intelligibility for low-volume listening. HDMI ARC Out: The Polk MagniFi Mini is equipped with one HDMI ARC output to connect the soundbar to your TV's HDMI ARC input. The HDMI ARC output allows audio from your TV to be sent through the soundbar system. The HDMI ARC output supports Dolby Digital 5.1ch & 2ch PCM. Note: Many televisions will only pass 2ch PCM through the ARC-enabled HDMI input from devices connected to the TV via HDMI or analog. Digital & Analog Audio Inputs: In addition to HDMI connectivity, the Polk Audio MagniFi Mini soundbar system provides a digital (optical) input and analog minijack (3.5mm) input for connectivity to your TV our other source components. You should make sure to turn your TV speakers off or set to "0". 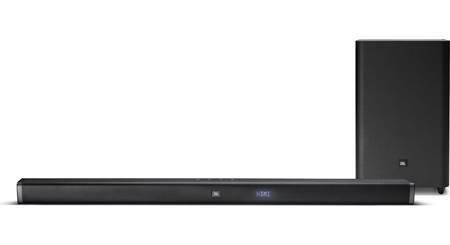 Optical Digital Input: The soundbar features a single optical (toslink) digital input to connect your flat-panel TV. The optical input can decode and reproduce Dolby Digital 5.1 program material. The soundbar's digital input also supports 2-channel PCM. Bluetooth Audio Streaming: The Polk Audio MagniFi Mini soundbar system supports Bluetooth A2DP which allows you to wirelessly stream audio from your Bluetooth-enabled Apple iPod/iPhone/iPad, Android smartphone/tablet, Windows Phone/PC, Mac laptop/computer and more. 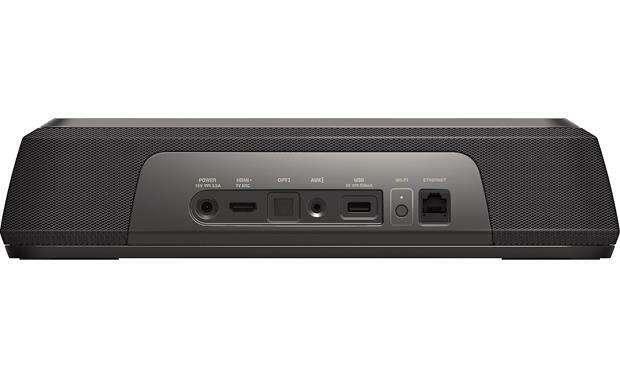 You'll be able to stream stored music or music apps from your Bluetooth-enabled device to the soundbar speaker system. You will continue to use your Bluetooth-enable mobile device for music navigation and to view song/artist information. Note: Due to the differences in Bluetooth technology, some Bluetooth enabled devices may be incompatible, function improperly, or may not support all features when used with the Polk Audio MagniFi Mini soundbar speaker system. 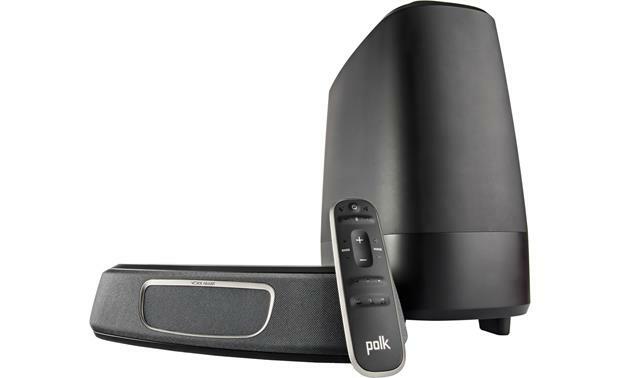 Network Connection: The Polk Audio MagniFi Mini offers built-in WiFi (802.11 b/g/n; 2.4GHz) and features a rear-panel Ethernet (RJ-45) jack for a wireless or wired connection to your home's network router. By connecting to your home's network, the MagniFi Mini will support Google Cast Audio, so you can wirelessly stream many of your favorite music apps from your Android smartphone/tablet, Apple iOS device, Mac computer, or Windows PC to the soundbar speaker system. Voice Control (Optional): Purchase the Google Home Wireless Speaker (sold separately) or other Google Home Assistant compatible speaker (see Accessories tab) and gain voice control of compatible Chromecast built-in music apps. You'll be able to access a specific music app and then select a specific station or song using only your voice. You'll also have voice control over Play, Pause, Skip, & Volume. The MagniFi Mini & the Google Home Assistant device must be connected to the same wireless (WiFi) network. Remote Control: The included IR remote control provides wireless operation of the system. You can also program the MagniFi Mini soundbar speaker system to respond to your TV's IR remote (basic functions only - Power/Input/Volume/Mute). In addition, there are controls on the top-panel of the soundbar speaker. Mounting Options: The soundbar speaker should be centered under or above your flat-panel TV screen. The lightweight easy-to-mount single speaker can simply be placed on a tabletop, stand, or shelf. It can sit on a flat surface because of its integrated rubber feet that enable it to rest securely. 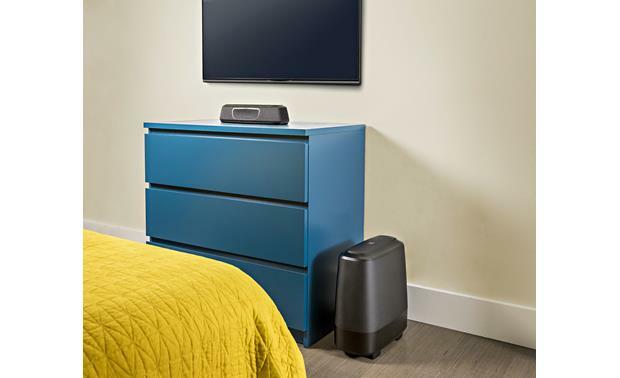 The powered subwoofer receives its signal from the soundbar wirelessly, so it can be placed virtually anywhere in the room (up to 30' from soundbar). It only requires plugging into an AC outlet. Note: The soundbar speaker is not wall-mountable. 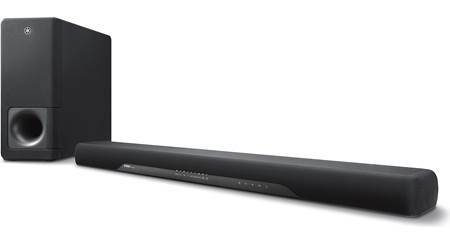 Power Requirements: Both the soundbar speaker and wireless powered sub will require an AC power outlet. What is the voltage of this polk ? I believe that the two active units both use variable voltage AC modules that can accept wall socket or mains voltages of from 120 to 240 VAC. I am not a technical person but a happy owner. My response to your question is regular house current. Is the mini system upgradeable to 5.1 surround sound? Hey David, This Polk audio device is excellent, I highly recommend it. It turns a regular TV into a theater.... it's fabulous!!!! Buy it, you won't regret it. I have thoroughly enjoyed mine!!!!! Of course not, it can connect by bluetooth. I have connected my phone to the soundbar and it will play music. There was a slight issue in that sometimes the music would drop for a second. But i cannot figure or remember what i did to correct it. But I think it was with my phone and not being right. If you get this problem I will say return it right away. IN any event I basically use it for my TV . LET me tell you the more you turn up the volume the better it sounds. IT does take a few days or hours to break in the speakers. It is a good value for the money. Since price has come down at other vendors. Would I buy again maybe. Only saying since there seems to be different options out there now! The sub woofer is not the loudest my only disappoint. But since I live in a apt. I have to keep the volume low. AGAIN it is a very nice system. Its up to the customer to keep or not. I do like it. Hi Josh. The TV would have to be "on" for the Polk system to work if you are streaming with the TV. It would probably go into sleep mode, but it would still be on. I normaly stream music via Bluetooth using my desktop computer or cell phone. No, unless you're streaming from an app on the TV. No. Music can be streamed directly to the sound bar from a mobile phone, tablet, or computer. No, you can stream from your phone through bluetooth or Chromecast. Will it power on/off automatically when the TV turns on/off? The unit will power off when you cut your tv off. Yes, it automatically awakes from sleep mode when the TV is turned on. will the polk mini soundbar work on my old panasonic viera tv? 2008 model? I don't know the answer. but if the Panasonic TV has a HDMI Imput jack labeled Arc or a Opticl Imput connection it will work. If the TV has external speaker connections, it will work. Does this TV have an optical digital audio port? If so, Yes, this sound bar will work with this TV. I currently have this hooked up using an optical digital audio cable that was included with the package. Can the subwoofer be layed on its side? It's a down firing sub. It can be laid down, but not sure what that would do to the frequency response. Yes it can be and does not cause a problem. At least my did not. I know this product gets high praise. It takes awhile for the sound or speaker to get broken in mine did this. I had slight problem at first with blue tooth seems to go away. IF you are looking for deeper sub or base sound. I say pick a different unit. Like theJBL 450 for around $350 to $500. I still LIKE mine for cost, sizing, sound. It works. Hope this is helpful. No - the sides are curved and the subwoofer would not lay flat on either side. I see there are two different remote layouts in the wild already(bluetooth vs ARC input), was there a update fix in hardware I should look for, and which one should I choose? We checked in with Polk on this one - and the remote pictured on the website is the correct remote, and the only remote that has come with the MagniFi Mini. 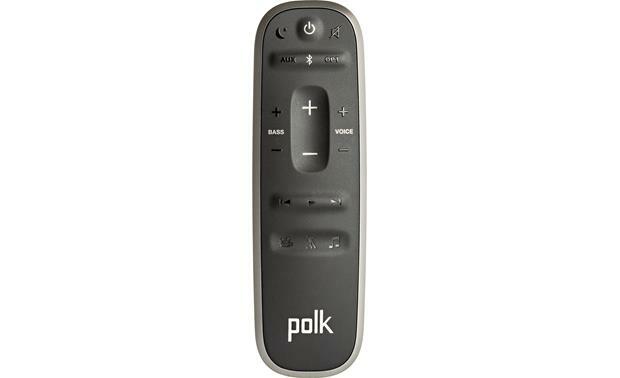 If you received a different remote with your unit, then I would recommend reaching out to Polk about getting the correct one. Mario. I'm not aware of any hardware changes to this product since launch. It's possible our pictures are from a pre-production model. I'm checking with our web team now. Bluetooth and ARC are 2 totally different functions. I have my TV connected to the ARC port of the Polk and it works very good! BUT it depends on your TV. What is the return policy and warranty on the Polk Audio Magni Fi mini?what is the warranty on the Polk Audio Magni Fi Mini? Thanks for your question. Crutchfield has a 60 day satisfaction guarantee. The manufacturers warranty is 2 years (speakers), 1 year (electronics). You can find warranty information on the main product page under "Product Highlights". Hope this helps. will this work with the new 2.2 HDMI used on the new 4k TVs? If you want to use HDMI, you only need to make sure that your TV's HDMI ports support ARC (Audio Return Channel). My TV is 2014 and one of the ports is explicitly labeled "HDMI ARC", but I don't know if all TV's make explicit labeling. Read the specs of your TV. If it doesn't have HDMI ARC, then you can still use other cables (example. the optical cable). With this system, using Optical or HDMI is the same in terms of sound quality. 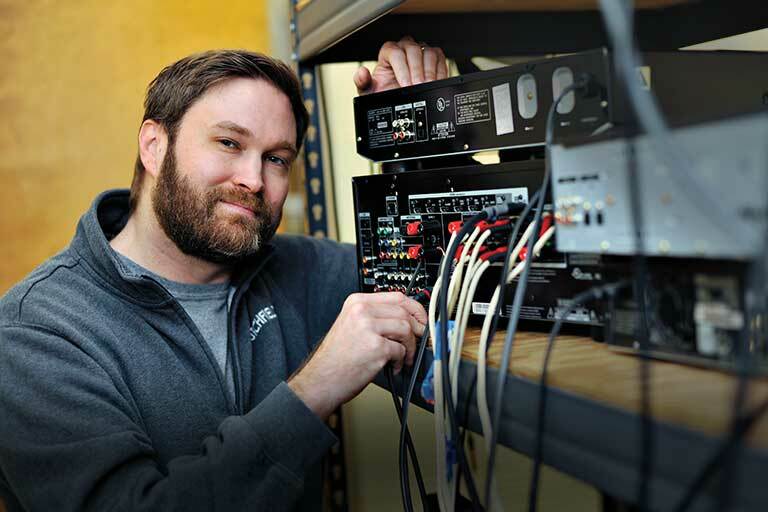 In any case, you can always return the system if you buy it with Crutchfield. Yes, I have mine hooked up a 2016 4k television. Samsung UN50KU6300. Wonderful unit! 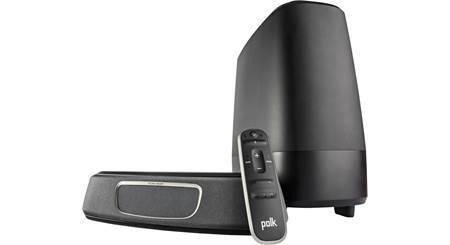 Searches related to the Polk Audio MagniFi Mini Powered home theater sound bar with wireless subwoofer, plus Wi-Fi® and Bluetooth®.